Introduced in April 1986, the 512Ke included an 800 kB floppy drive, and a 128k ROM, but was in all other respects identical to the 512K. It sold for $1,999 and and was sold to educational markets as the Mac ED. The 512Ke was discontinued in September 1987. Thanks to Eric Rasmussen For OS info. You may want to note this one on the 512Ke page. Like the Macintosh ED, the 512Ke was also sold as the "Macintosh 512K/800" outside of the USA. The main difference between the 512Ke and 512K/800 & ED was that the later two models came with the Mac Plus extended keyboard. 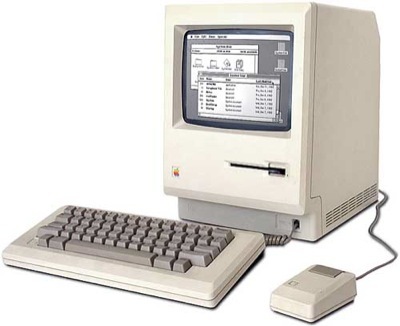 In 1987 along with the rest of the Apple product line, the 512ke and/or variants were also produced in Platinum, this change involved a rear-bucket change of color and a switch to the Macintosh Plus front bezel without the name as depicted in the Macintosh ED on the 512ke page.